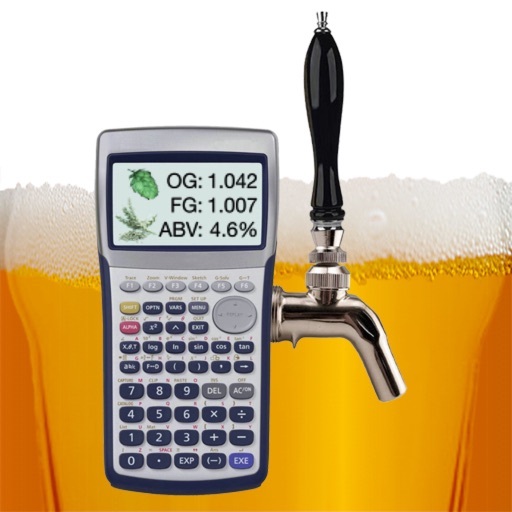 Brew Pal provides the all-grain or extract home brewer easy access to the most used calculations and statistics in an attractive, easy-to-use package. Enter your grain bill by selecting from predefined grains and quickly estimate your SRM (color), original and final gravities, as well as alcohol % given your efficiency and yeast attenuation. Enter your hop additions by selecting from predefined hops and quickly estimate your IBU (bitterness). Supports dry hopping. 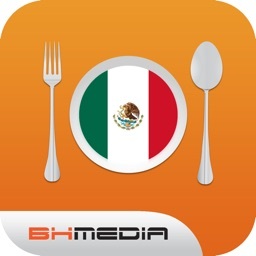 Enter flavorings and finings by selecting from a predefined list. Supports boil and fermenter additions. 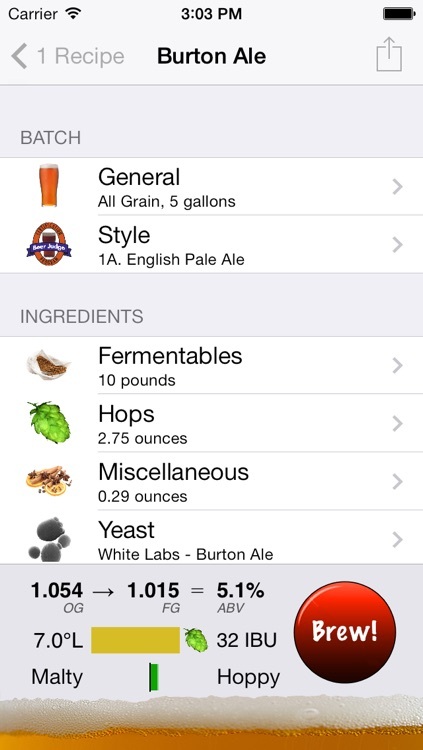 Pick your yeast from a predefined list and set your pitching rate. Calculate the amount and temperature of strike and sparge water you will need to hit specific temperatures. Supports calculations of multiple infusions or decoctions. 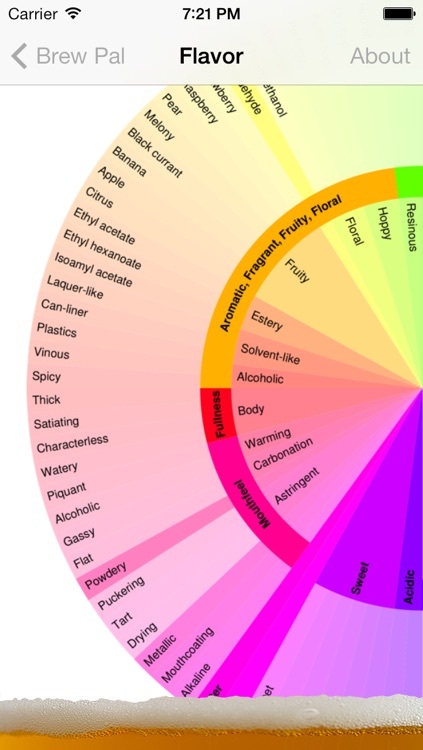 Using either a hydrometer or refractometer, and correct for alcohol content. Compare your recipe with BJCP style guidelines. 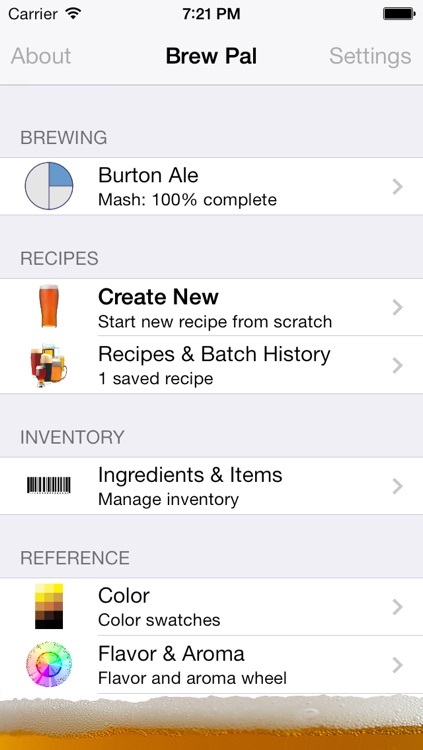 Brew Pal can show you only the styles that closely match your recipe, or present a complete list of BJCP styles. 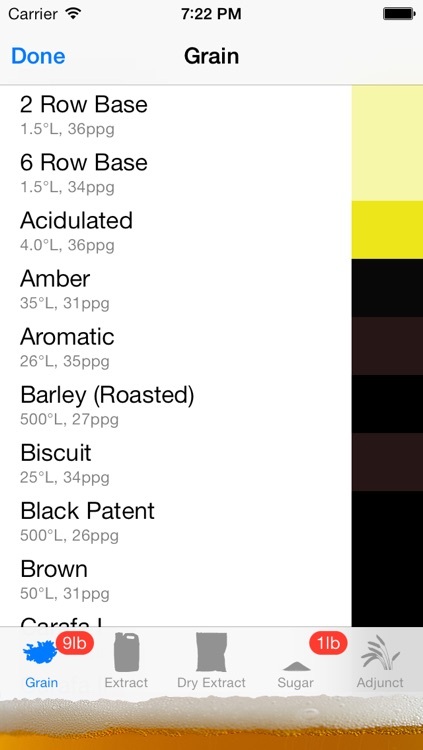 Compare your beer with SRM color swatches or spin the flavor wheel to narrow in on that taste or smell. 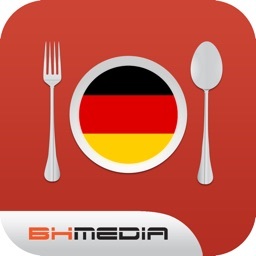 Carry your mash, boil and fermentation timers with you. Get audible and vibrating reminders of important steps, and view your fermentation calendar on the go. Change your settings in a single tab. 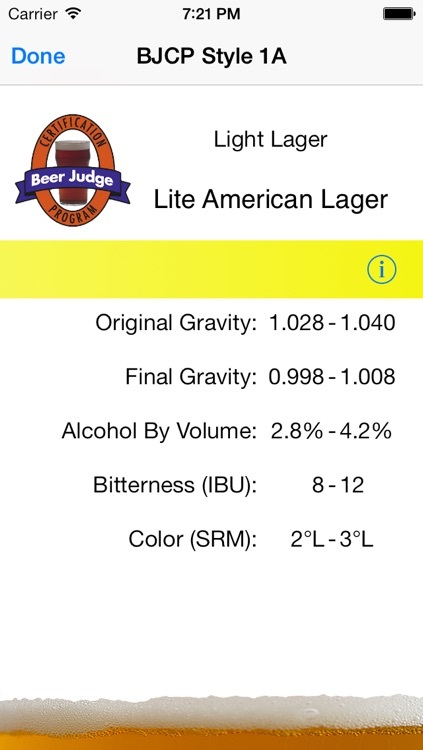 Enter as much information as you have about your brew; estimates and averages are provided to fill in the blanks. 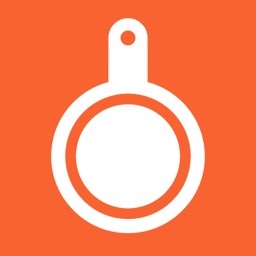 Brew Pal remembers what you have entered so if your session is interrupted by a telemarketer's call, don't worry--your data is safe.